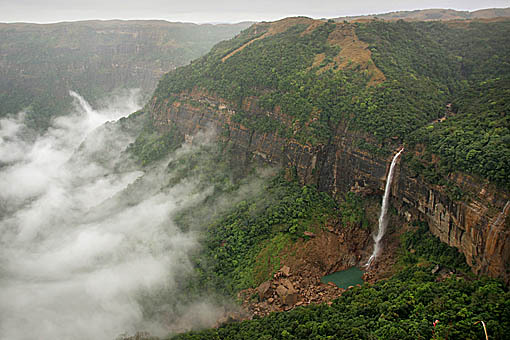 On the north-east frontier of India, lies the breath-taking state of Meghalaya. Meghalaya’s claim to fame are the two towns of Cherrapunji and Mawsynram, who compete on an annual basis to be known as the rainiest places on earth. Hence, it isn’t really surprising to imagine, the best time to visit this place (if you do not mind getting a little wet), is the summer monsoon period – preferably around May. 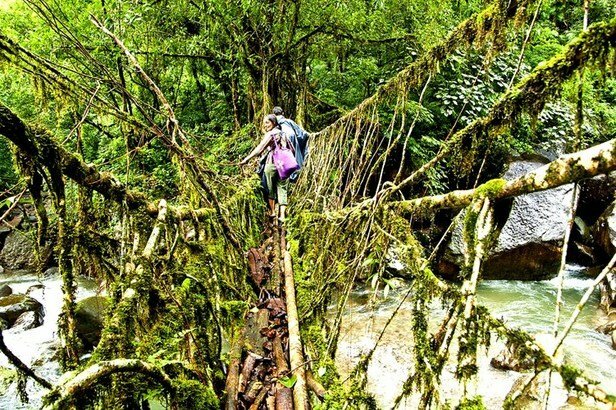 In the wide scheme of things, the greatest attractions in Meghalaya are the countless number of waterfalls, caves, engaging hiker routes and the wondrous ‘living root bridges’; however, there’s more hidden just under the surface. 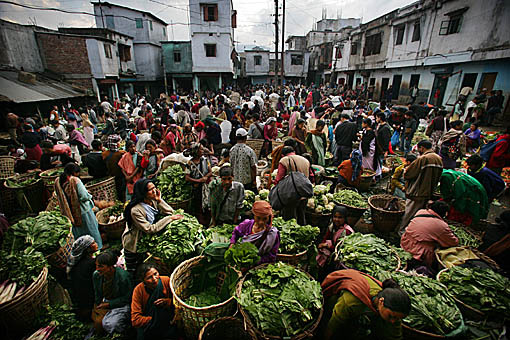 The beautiful Khasi tribe that inhabits these plateaus are an ancient, intelligent and friendly people – ones that have engineered a great lifestyle to live in harmony with this precious ecosystem. If you have some time off – please grab the opportunity to live with these amazing people for a little while and let them initiate you to the treasures overlooked by the regular travelers. Climate: Meghalaya sees its highest mercury in March & April. May is the onset of monsoons whereas July & August are the wettest months, which makes May just about the best time to watch the rain water lash down into the Bangladeshi plains – also, the precipitation is rarely consistent and falls in batches, giving you plenty of time to explore. Getting There: Umroi airport, located around 35 KM from the capital city of Shillong is the only airport in Meghalaya where commercial flights operate from and only a few flights flying to Kolkata are available. There are no railway lines in Meghalaya – a clear indicator of how remote these places are. Shillong is a 4 hour drive from Guwahati airport in Assam, with buses, shared taxi & private cabs all available. Mawlynnong: known to the western world as the ‘cleanest village in Asia’, Mawlynnong is home to the beautiful, matrilineal Khasi tribe. Make this the base of your Meghalayan adventure, and live the life of an ancient, mature tribe. 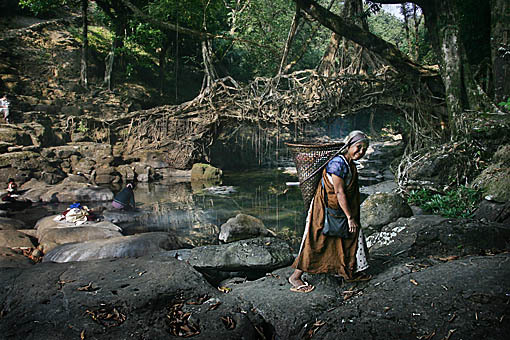 Read a great excerpt from his time with the Khasi tribe by photographer Timothy Allen at Human Planet. Double decker Living Root Bridge, Cherrapunji: Meghalaya is renowned for it’s living root bridges – the most famous of which is the Double Decker bridge near Nongriat village – personally, they are all marvelous works of art, science and nature and if you’d like to avoid the tourist ‘sentiment’ you might as well discover lesser known root bridges in and around Mawlynnong. Nohkalikai Falls, Cherrapunji: witness the tallest waterfall in India – ‘the jump of Ka Likai’ or Nohkalikai is named after a tragic Khasi legend. Amongst the top tourist locations in the state – and a priceless sight in the monsoons. Trekking Trails: Meghalaya, literally translated is ‘abode of clouds’ – this mainly because of the massive variety of hills, valleys and plateaus it is blessed with. Naturally, the place has several opportunities for the trekking enthusiast – the omni-present rain and low visibility only adds to the challenge. Some useful tips here.